Helping people, businesses, and educators understand global Africa from the many rich cultures to people, places, and politics. Helping people, businesses, and educators understand global Africa from the many rich cultures to people, places, and politics . For as long as he can remember, Dr. Osei has ‘wanted to know’! From current affairs of the world, to reading about cultures, to understanding why things are the way they are, he has sought to explain, expatiate, enquire, and educate. ‘Knowing’ conquers everything! Informed, accurate, knowledge is even better: it provides answers to our questions. Once we ‘know’, we are then called to act. Especially when it comes to the conditions of the global Africa! 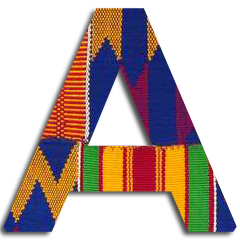 This is the motivation behind this website; it is dedicated to rewriting, rethinking, and reinterpreting the negative, one-sided, and partial information on Africa and its sons and daughters that has passed for knowledge for centuries. It is to reorder the priorities of the African world by liberating the mind. This exercise does not need a dedicated brick and mortar environment to be carried out; all that is needed is an open mind, and the will to want to know. This is the passion he brings to this website. Expertise is in Global Studies, International political economy, Africa in the international system, the African Diaspora and multicultural education, all areas in which he has published.